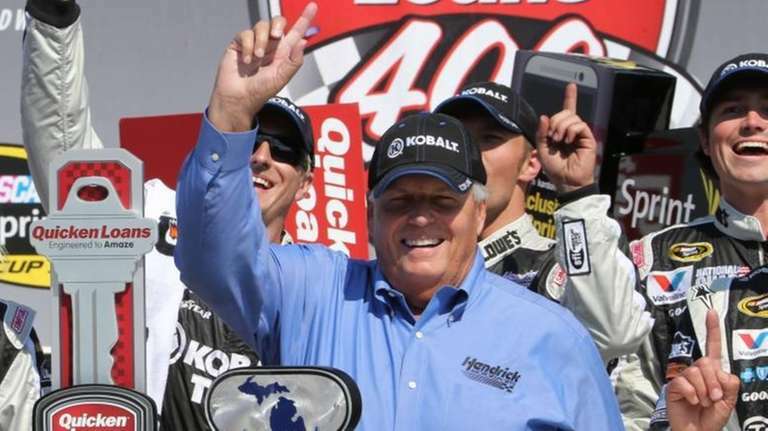 It’s still three weeks until NASCAR’s Daytona 500, but Rick Hendrick already has his first win of 2016. The powerhouse owner of Hendrick Motorsports ponied up $1.2 million for the very first 2017 Acura NSX at the Barrett-Jackson car auction in Scottsdale, Arizona, Friday night, according to the Barrett-Jackson Facebook page. The Barrett-Jackson website boasts numbers for the next-generation NSX that hold their own with the Chevrolets Hendrick runs in the Sprint Cup Series. The Acura model, which will go on sale to the general public next month, can go from 0-60 in about three seconds and reach top speeds of more than 190 MPH. Its retail price is $157,800, according to caranddriver.com. This transaction wasn’t just about horsepower. All proceeds from the sale went to the Pediatric Brain Tumor Foundation and Camp Southern Ground, a Georgia facility for typical and special-needs children ages 7-17 that is supported by Grammy-winning country singer Zac Brown. Hendrick hopes to add a Daytona 500 trophy to his most recent purchase on Feb. 21, with his driver lineup of Dale Earnhardt Jr., Jimmie Johnson, Kasey Kahne and rookie Chase Elliott, son of NASCAR Hall of Famer Bill Elliott and heir apparent to recently retired NASCAR icon Jeff Gordon.